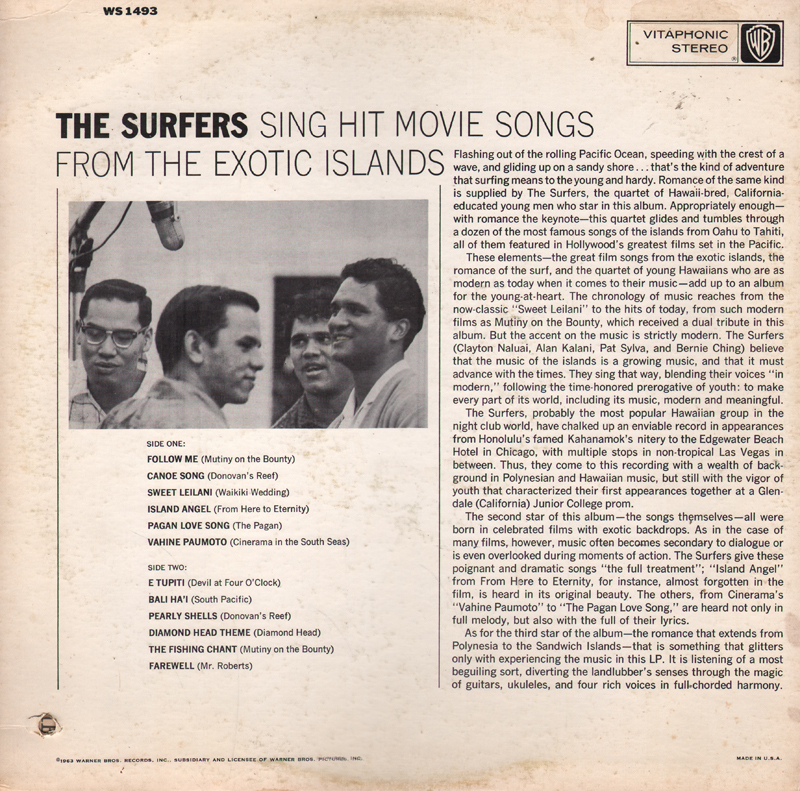 From the back cover: The Surfers, probably the most popular Hawaiian group in the night club world, have chalked up an enviable record in appearances from Honolulu's famed Kahanamok's nitery to the Edgewater Beach Hotel in Chicago, with multiple stops in non-tropical Las Vegas in between. 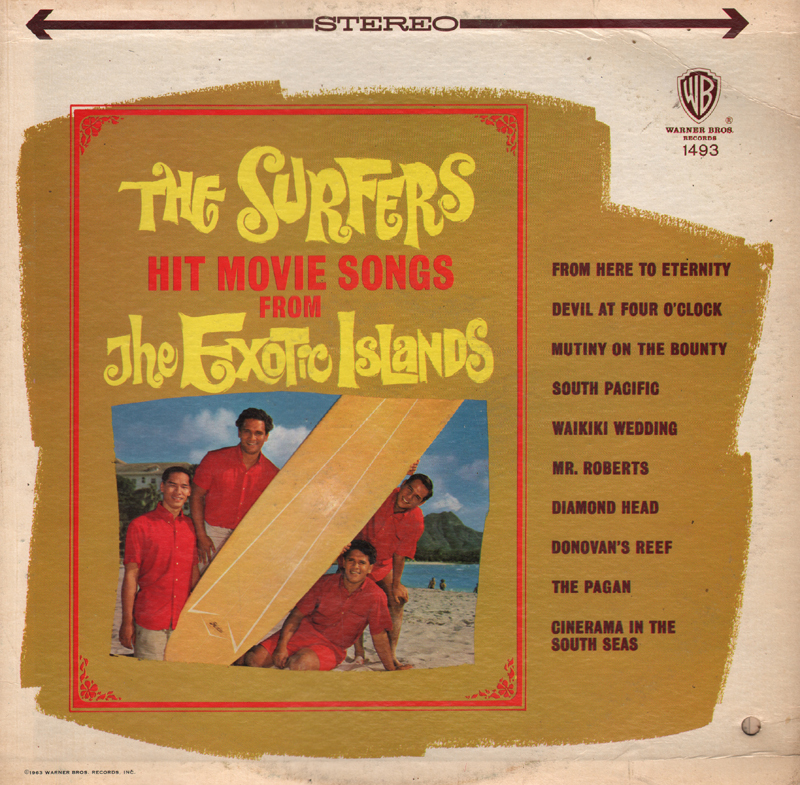 Thus, they come to this recording with a wealth of background in Polynesian and Hawaiian music, but still with the vigor of youth that characterized their first appearances together at a Glendale (California) Junior College prom. Interesting package featuring a fun photo of Zimmerman and, apparently, his dog on the jacket cover. 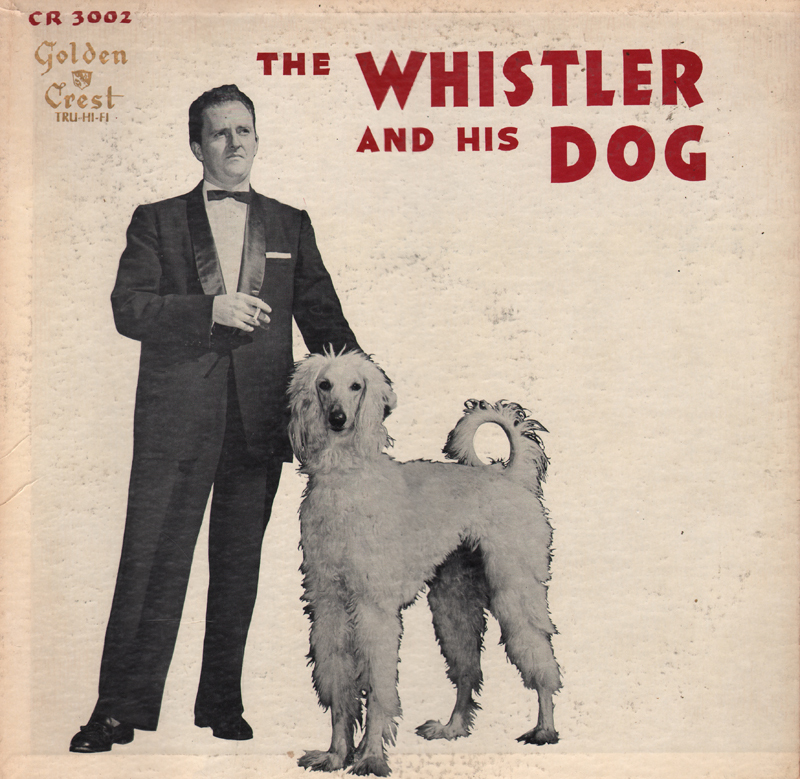 The Whistler And His Dog is the title track, enough of a reason to justify using the image on the cover, but the notes go no further to elaborate on the story. Often "whistler" LPs can sound "one-dimensional" unless you are super into whistling, however, this set is saved by a collection of arrangements that are, for the most part, nicely flavored with a Space Age swing or pop treatments. From the back cover: The Whistler is Jack Zimmermann who has been playing professionally in bands literally since the age of 12. Now 37, Jack has played Banjo, Guitar and Bass in bands from coast to coast. 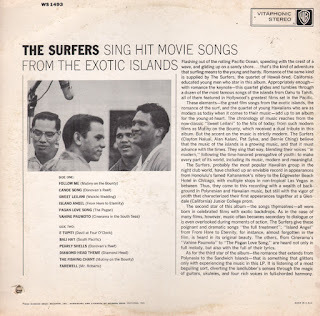 He interrupted his music to fight a war and returned to it to play in various combinations in Hollywood, Las Vegas, New York and other spots. He has been heard with Enric Madriguera, Charlie Spivak, Buddy Rogers, Art Mooney and others. Jack first whistled on George Skinner's show on C.B.S. When Archie Bleyer sought a whistler, he also selected Jack and from there on Jack whistled with himself to create duets and even four part harmony. Listen with very special care to the artist's performance of Solfeggio. This music, composed by the eminent Harpist Robert Maxwell, seems almost to have been written for whistling.